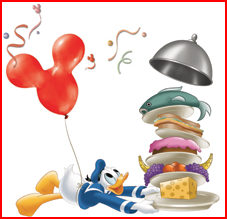 Dining at Walt Disney World can be a challenge. Wait, let me say that another way. Having your dining reservation when you would like to dine can be a challenge. So today’s post is going to offer tips on working Disney’s Advanced Dining Reservation System — henceforth to be called ADRs. The first thing to note,ADRs are not like reservations that you traditionally make at a restaurant. ADRs guarantee you the next available table for your party size. 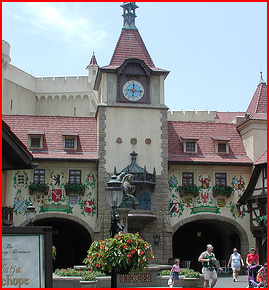 If you have an ADR for 12:00 pm at Le Cellier, there won’t necessarily be a table waiting for you at noon. Sometimes you have to wait and sometimes you don’t. Keep that information in mind when making your ADRs. If you are late, Disney isn’t going to refuse to seat you. If you are only able to snag an 11:00 a.m. ADR and your party gets delayed on Soarin’, no worries. You may have to wait, but you will get to eat. Getting to eat is what an ADR guarantees you. It’s your foot in the door of the legendary Disney restaurants. Tip #1 — If you really want to eat at a particular restaurant, take whatever ADR you can get. Let’s say you’re going last minute or you had no idea that you even needed to make ADRs. What should you do? The first thing: walk up and ask if they by chance have any availability. One of the big flaws in Disney’s ADR system is that tons of reservations are taken, but not all are fulfilled. It may be your lucky day, so give it a try. You didn’t have any luck with ADRs and no Walk up availability or you just like to live on the edge. Plan C. Eat at the Bar. There’s a plethora of restaurants that have bars that offer a full menu. 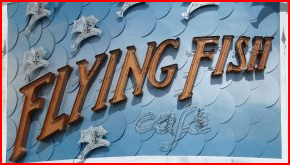 Flying Fish and California Grill are two of my favorites. There is also the option of trying Biergarten as it has family style seating. Getting in is rarely a problem. Give Kona Cafe at the Polynesian a try. It’s one of my favorites in all of Walt Disney World and because it’s housed inside a resort hotel it’s lesser known. Trails End over at Fort Wilderness is a great option — out of the way, flies under the radar with good food. My best universal advice when going to Disney World: be on the flex team. Put your type A personality aside and be the best type B or C you can be. Crankiness has never upped the fun factor. Don’t live or die by your dining reservations. Use them as a guide to plan your day — not an absolute, written in stone contract. Eating at Walt Disney World is one my life’s great pleasures. I’ve visited with ADRs and without. Either way, it’s been a culinary success. What tips do you have? You can follow me on Twitter @Caroline251. Wondering what’s up with Wonders of Life? …and my daughter-in-law and 2 YO granddaughter are joining us in the adventure and she is leaving her spreadsheet home too! Will wonders never cease? Great suggestions! As locals we have two common tactics: 1 is know the lesser occupied restaurants (you name a few above), and 2 try to call the 407-WDW-DINE line in the AM while driving over or arriving at the park and see what’s available. One of the ways that WDW deals with the “flaw” in the ADR system is that they have years and years of data on no-show rates, so that factor is figured in to the number of spots available for reservations. If, to give an oversimplified example, there are 100 seatings available at Le Cellier and the known no-show rate is 20%, then they will book 125 reservations. If the no-shows hold to the usual statistics, there will be 100 diners show up and fill all the available seatings. This is why availability of walk-up seatings at the more popular locations can be so rare. In some cases, they don’t even bother opening a list. From personal experience going the second week of November, you would have thought that going by the seat of your pants would have been a fine plan, but, 2 years ago my family of 5 were left driving around Orlando at 8 p.m. trying to find a place to eat after not being able to get in anywhere at Hollywood Studios. The really bad thing there was that we couldn’t even find a counter service that was open because it was in a slower season. I’m also guessing this was before I became somewhat of an expert and assume free dining and/or Fantasmic was going on. Anyway, my advice make the ADRs if you can and as early as you can. I now book and make my ADRs 180 out getting everything I want. I think the “eat at the bar” option is a great one! You get fast service, the same food, and a great experience. Eating in the lounge at California Grill is a good one as well — the million dollar view without having to get up at 6am 180 days out to get it! This well written article encouraged me very much! Saved your site, very great topics just about everywhere that I read here! I really appreciate the information, thank you.